Having received the best ever box of vegetables from Enterprise Farm, I was inspired to actually publish a new post. 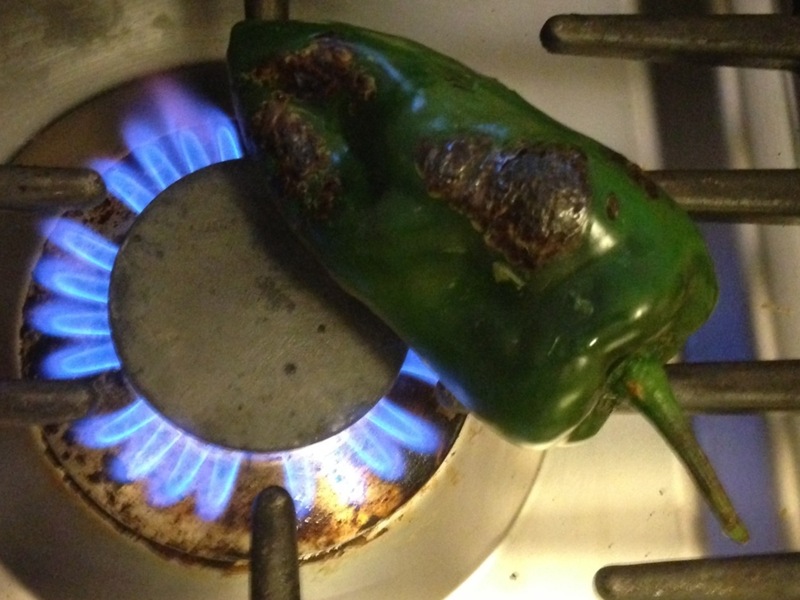 Flame roast those peppers directly on your gas flame if you have one. About 30 seconds a side or until you get a nice char. Ummmm- be careful too, open flame and all. Peel and slice in quarters some white yams, toss them in olive oil, S&P and roast in the oven at 400 for about 30 minutes. Chop about 8 tomatillo and 1/2 a red onion, toss with a dash of olive oil and cider vinegar, and S&P . Stuff the peppers with any number of delightful things. I used shredded cheddar, ground beef ( browned with onion, garlic, cumin and cayenne ) and black beans. Put the stuffed peppers in the oven for the last 10 minutes of the yams roasting. 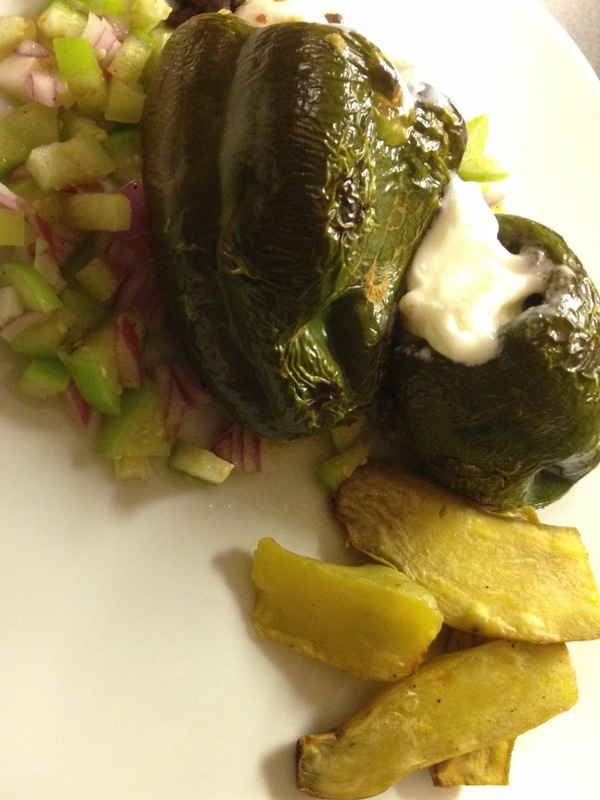 I served it with plain yogurt to counter the heat of the spice and acid of the salsa. We also had the most delicious romaine and fennel salad with this. I really love when my weekly box of veggies come, and therein lies a complete meal.